 The 377 Float Cage opens a 322L or 326L Lever Valve to supply intake water to a tank. When the water reaches the desired level the Float Cage closes the Lever Valve to accurately maintain the liquid at the desired level. 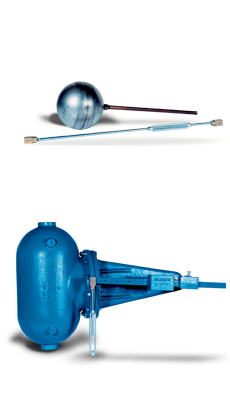 Buoyancy of its internal float ball provides the force to actuate the lever valve.